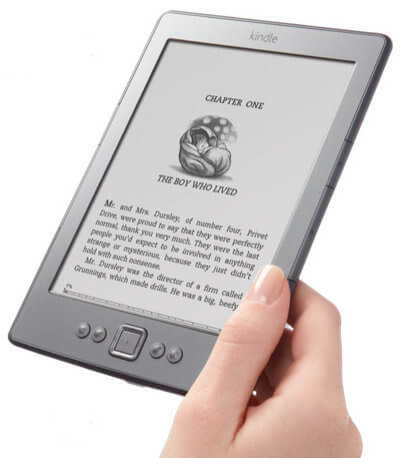 Amazon Shocks Authors with New Kindle Unlimited Payment Policy: What Are the Pros and Cons? Our sincere thanks to Wise Ink Creative Publishing for this guest post – We’re excited to hear YOUR thoughts on Amazon’s newest payment strategy… Read on! If you are the least bit tech savvy in your book reading (or writing), you’ve probably heard that Kindle Unlimited payment policy is changing. Amazon shocked authors last week when it announced it will be revamping its payment policy for authors enrolled in Kindle Unlimited—a program allowing readers to pay a flat, $10 monthly fee for unlimited access to the program’s ebook titles. Previously, Kindle Unlimited paid its authors per “qualified borrow.” Starting July 1, however, authors of KU titles will no longer be paid per copy, but per page read. Writers across the interwebs have been voicing their opinions all week. Authors have argued and techies have spoken. Everyone has made their predictions: what does this mean for publishing as we know it? Previously, KU authors were all paid the same amount per qualified borrow, regardless of their book’s length. 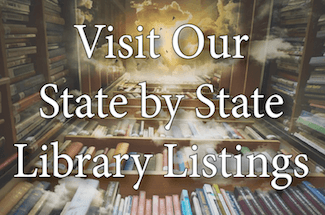 This policy made it easier for short books to reach the necessary 10 percent quotient required for a “qualified borrow.” Authors of much longer works felt snubbed when borrows didn’t register because readers didn’t fully commit. Now, authors will be rewarded for each and every page their readers consume, whether or not they finish the book. This metric may not be perfect, but it certainly measures reader engagement. All ebook pages are not created equal. Amazon foresaw this potential flaw in their new policy and created a metric to standardize what constitutes a page. So, if you were considering ramping up an author’s profits by reading your favorite book on your smartphone, where a page consists of two sentences, think again. Amazon seems dedicated to enhancing equality within its offerings and leveling the playing field for authors. Any author can tell you that writing a book is hard. So at first, it seems a little disappointing that KU authors may not be recognized for the entire final product. Rewarding authors page-by-page seems to overlook all the work that went into making their books whole. But at the end of the day, if readers don’t want to keep flipping pages, authors aren’t doing their jobs. If writers are serious about their craft, they will be less disappointed about losing money when their audience abandons ship twenty pages in, and more concerned that they were not able to effectively engage readers. Amazon’s new policy may be a new incentive for authors to hone their craft and return to the basics of great storytelling. It may be a wake-up call to realize that one’s readers are really reading, but when regarded constructively, Amazon’s new method could help authors identify strengths and weaknesses in their writing. It’s important to note that Amazon has provided an emergency escape route. Authors will be allowed to opt out of Kindle Unlimited at any time within the first 90 days if they so choose. However, in doing so, authors may sacrifice visibility for a slightly higher profit margin through normal sales. Kindle Unlimited’s new format has the authors of page turners rejoicing. Writing in genres like mystery and sci-fi align well with Amazon’s new policy, because these books naturally keep readers on the edge of their seats, waiting for more. Authors have been using the cliffhanger to keep audiences on their toes for as long as we can remember. Tactfully placed, a cliffhanger truly builds tension and suspense within a plot, and effectively leads the reader to flip the page. But no piece of writing should have a cliffhanger at the end of each and every chapter. Under Amazon’s new system of rewards, critics are worried authors will over-rely this very writing technique, some even claiming it could create “mysteries across all genres.” Chapters will become shorter with more jostling endings in an attempt to coax audiences to keep flipping those precious pages. So you wrote a really good book, and using Amazon’s new metrics, you can see that most of your readers finish it from start to end. Congrats! The problem: it’s short, and this brevity means there simply aren’t that many pages to make money on. Meanwhile, your competitor wrote the modern Iliad. It’s a monster. And even though her audience seems to be throwing in the towel halfway through, “halfway” is still 200 pages longer than your entire book. That’s 200 more pages of profit. So who’s winning? The author who writes a short but successful book, or the author who fills pages? Could Amazon’s new policy spark a new, unnecessary round of strategizing for authors? The new Kindle Unlimited comes with the concern that authors may attempt to pad and/or cut to accommodate the ideal ebook length, when they should be focusing on the bigger picture: telling the story. Will Amazon’s new policy be the best new thing in publishing, or should they already start rethinking their business model? We only have to wait a few months to find out—the results start rolling in next week. Readers, where do you stand amidst the controversy? Comment below to add to our list of “Kudos and Concerns”! I love the way you guys have explained it because I was a little confused. Amazon is trying to make things fair across the board I get that. I hope it works out for everyone. Great insights, Natasha… That would be a really cool result of PubSense Summit, wouldn’t it? !